Pension scams are becoming more frequent and costing victims an average of £91,000. According to recent data from Action Fraud, more than £23m was lost to scammers in 2017. 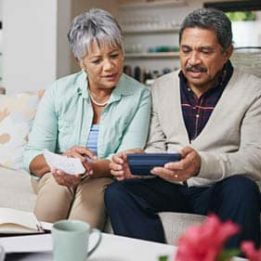 Pension freedom has created many opportunities for scammers to target people approaching retirement with access to their retirement funds. The majority of people with the option to access their pension do not have a financial adviser, leaving them vulnerable to scammers because they can’t tell who is genuine and who isn’t. Nick Moules, Head of Marketing at Wren Sterling says the old adages are especially relevant in these cases: “If something is too good to be true, it probably is. If someone asks you to transfer money to them over the phone or via email, don’t do it, however convincing they appear. The government has indicated that the long overdue pension cold calling ban is due to come in later this year and the Financial Conduct Authority is releasing a series of TV adverts designed to reiterate warnings about scammers. “Anything the authorities can do to raise awareness of this threat and the devastating impact a scam has on hard-working people should be encouraged. It doesn’t cost a thing to pick up the phone to an independent financial adviser and see if they can help you plan your retirement, so it’s an option worth taking to avoid the emotional and financial stress of being caught in a scam”, said Moules.